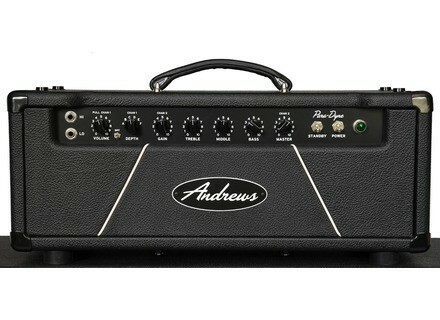 PD-20 Head, Tube Guitar Amp Head from Andrews Amplification in the Para-Dyne series. Joining the company’s existing line of A-Series amps, Andrews Amplification introduces the Para-Dyne 20 and the Para-Dyne 50. The Para-Dyne name signifies the two channels of tone produced by these amps. Both amps are available in heads and 1x12 combos (2x12 combos coming soon). All feature Baltic birch cabinets and are hand-wired on turret boards in the USA. The Para-Dyne 20 head and combo carry retail prices of $1995 and $2250 respectively. The Para-Dyne 50 head and combo retail for $2095 and $2350 respectively. Hofner Guitars President Limited Edition Hofner introduces the President Limited Edition, limited to 15 pieces worldwide. [NAMM] Amptweaker TightFuzz The new TightFuzz was designed to let players add vintage tone to their arsenal. [NAMM] Squier Completes Vintage Modified Series Squier announces several new models to its acclaimed Vintage Modified series, including Squier takes on five classic Fender guitar designs.